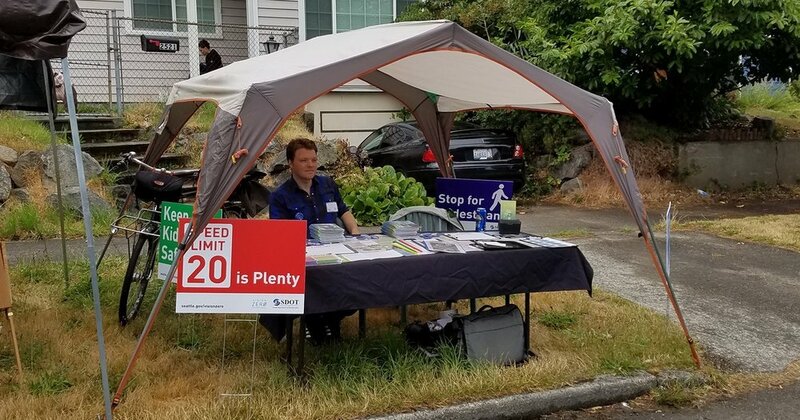 Beacon Hill Safe Streets is a neighborhood group working to create safe streets for everyone; all ages and all abilities. BHSS (Beacon Hill Safe Streets) are neighbors who come together to discuss street related safety issues and work to find solutions to those issues. These issues can be varied, sometimes we're working on a specific problem like speeding near a school or a crossing that isn't working for students. Other times you might be commenting on the latest city plan for the bike network. We're community led and driven, your issues are our issues. Beacon Hill Safe Streets is a grassroots neighborhood organization working to support a livable and vibrant Beacon Hill neighborhood where residents of all ages and abilities feel safe and comfortable walking or bicycling. We are affiliated with Seattle Neighborhood Greenways, a city-wide organization with a similar vision that coordinates and supports a coalition of separately-organized neighborhood community groups. People who live, work, and play on Beacon Hill are who make us work. We need your time, thoughts, and efforts to get things done. If you have an issue that needs work, let us know but also be prepared to help get it fixed. If you just want safe streets for all, that's amazing too!